Already at a first glance the ASUS P8Z77-V Pro/Thunderbolt looks very good with it harmonic design. The colors look suite nicely and the different blue tones on a black PCB are calming. The layout itself is well thought and there is for example plenty of space around the CPU socket to install even todays largest CPU coolers. ASUS equipped the P8Z77-V Pro/Thunderbolt with a 8+4+2 phase power design whereas the CPU can rely on eight phases, the integrated graphics unit gets four phases and the memory gets its own two phases. Furthermore ASUS put a digital power design on the board, which comes meanwhile in the third generation. With their digital power design they promise that it emits less electromagnetic radiation than its analogue counterpart. Therefore ASUS claims that the system stability can be enhanced even further, especially during extreme overclocking. 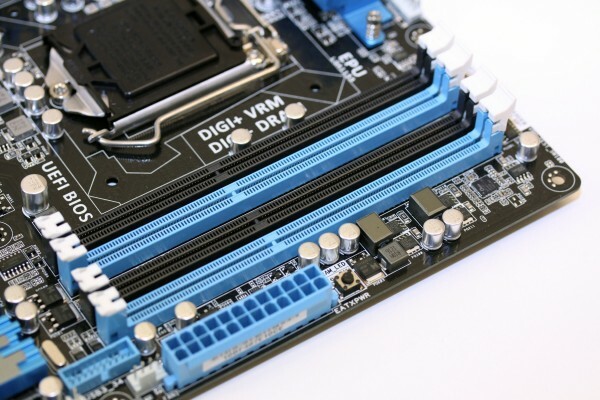 Totally you'll find four DIMM-slots on the P8Z77-V Pro/Thunderbolt. 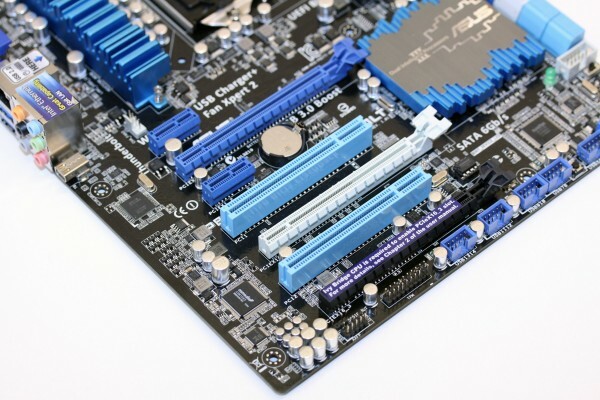 Officially supported are DDR3 - 2600 (OC) / 2400 (OC) / 2200 (OC) / 2133 (OC) / 2000 (OC) / 1866 (OC) / 1800 (OC) / 1600 / 1333 MHz with up to 32 GB capacity. 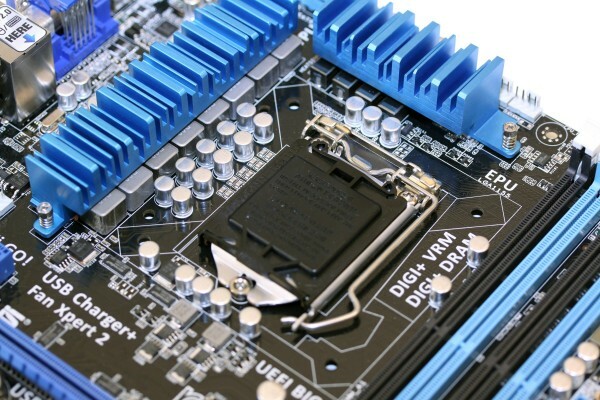 The DIMM-slots are quite close to the CPU socket which might cause some compatibility problems with big coolers especially when you choose to install RAM with big heatspreaders. The power design is being held at adequate temperatures via passive cooling blocks. The Southbridge is also being covered by a passive cooling block. The aluminium blocks around the CPU socket aren't disproportionate therefore there is plenty of space to easily install even todays biggest air coolers. The design of the coolers isn't really attractive and is cheap looking.